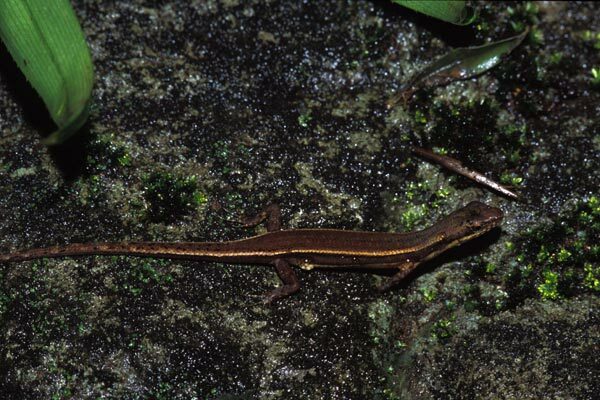 Skinks are by far the most common reptiles seen in Australia's rainforests, and it's difficult to distinguish the many varieties found there. My best guess is that this fairly nondescript little fellow is Saproscincus basiliscus, but I wouldn't be greatly surprised to learn otherwise. I hope you will tell me otherwise if you know better.